Lester Brown of the Earth Policy Institute talks about the latest edition of his book PLAN B. It’s updated to PLAN B 4.0. And social change expert David Gershon talks about how to create the social and political will to do something about climate change in his book, SOCIAL CHANGE 2.0. [amazon-product align=”right”]0393071030[/amazon-product]Senate Majority Leader Harry Reid has announced plans to bring clean energy legislation to the Senate floor the week of July 26. The House passed such legislation last year, but the Senate has been dragging its feet. What will be in the final bill and whether it will do much to get us off fossil fuels in time to stave off climate catastrophe is not yet known — but many in America aren’t holding their breath. They’re moving ahead, with or without government to lay out a vision of a clean energy future and a way to get ordinary citizens mobilized to bring it about. Both our guests today are committed to that future. 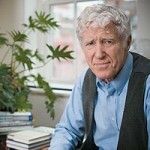 We speak with Lester Brown, longtime writer and activist on global environmental issues. He is a MacArthur “genius grant” recipient and was called “one of the world’s most influential thinkers” by the Washington Post. Founder of Worldwatch, he helped to pioneer the idea of sustainable development back in the 1970s. His best known books are perhaps the Plan B series. His latest, PLAN B 4.0: Mobilizing to Save Civilization, is centered around the idea that tackling climate change isn’t just about changing our energy technology from dirty to clean; it’s also about social change — specifically, eradicating poverty. He says unless we all get together to do that, our civilization could be doomed and that we need to educate poor women, empower poor farmers, and create food security along with energy security. [amazon-product align=”left”]0963032771[/amazon-product]Writers Voice first spoke with David Gershon several years ago about his book, LOW CARBON DIET: A 30 Day Program to lose 5,000 pounds. That book and a companion workbook for children was a guide for families and communities to get together to slash their carbon footprint. 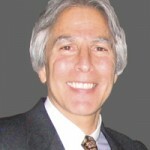 Gershon is the founder and president of the Empowerment Institute, a school for social change. It works with government, organizations and businesses to help institutions change behavior on a system-wide scale. The city of Seattle is one of his clients, putting his ideas about reducing our carbon footprint into practice. His newest book is SOCIAL CHANGE 2.O. I have wondered about Lester Brown. I agree with his dire assessment of what impacts climate change may have, and hence, what is at stake and how serious we should take the issue. What I don’t understand about him is his attitude to nuclear power. Like a lot of climate activists, he wants us to pay attention to what the scientists say when it comes to deciding there is a problem, but he then wants us to ignore what the scientists say when it comes to the solution. Climate activists like Brown tend to say its “clean” “renewable” energy we need now, and scientists say “low carbon”. Low carbon includes fossil fuel with carbon capture and storage, and nuclear power. Scientists say the problem of CO2 and other GHG emissions is so great we need every technology available. Brown and his ilk say we don’t. I say pay attention to the scientists. See: IAC “Lighting the Way” report. The IAC is a creation of “the world’s science academies”, and the panel that came up with this report was chaired by Dr. Stephen Chu, present head of the DOE. Also see: Joint Science Academies G8+5 statement handed to each head of state in the G8 when they met in Japan. Both of these indicate that the highest level scientific advice available says we need every low carbon technology available, specifically mentioning carbon capture and storage and nuclear power, in addition to the things Lester Brown calls for.